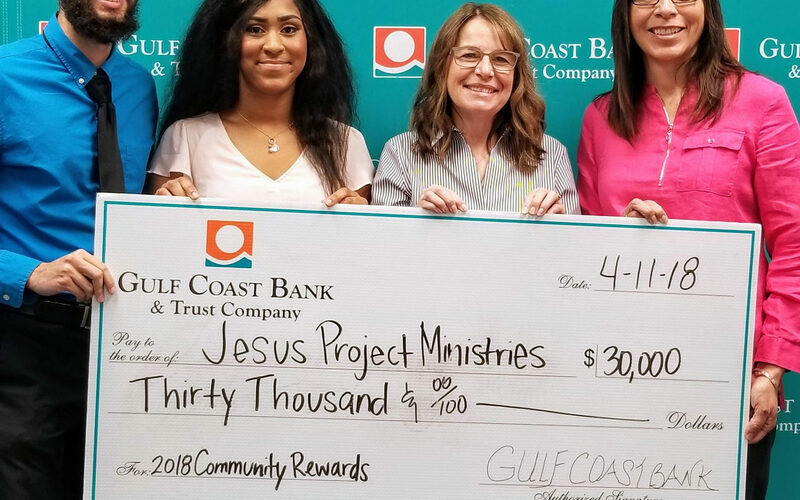 2018 has been a great year for Jesus Project Ministries! It was your partnership, including prayers, financial support, voting and volunteerism that made it possible! We are so grateful to the Lord for you! Take a look at some highlights from 2018! 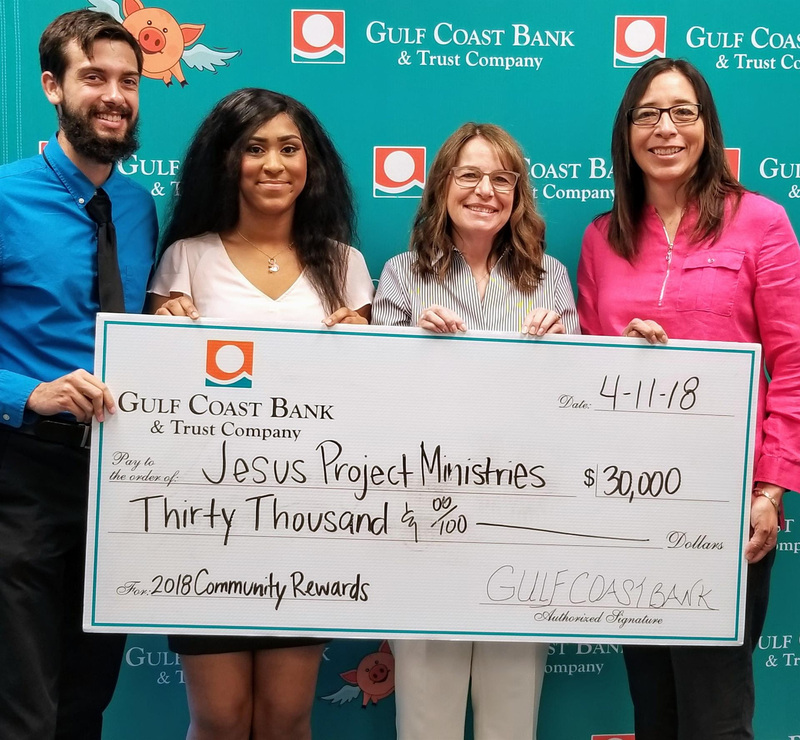 You voted and we won $30,000 in the Gulf Coast Community Bank contest! 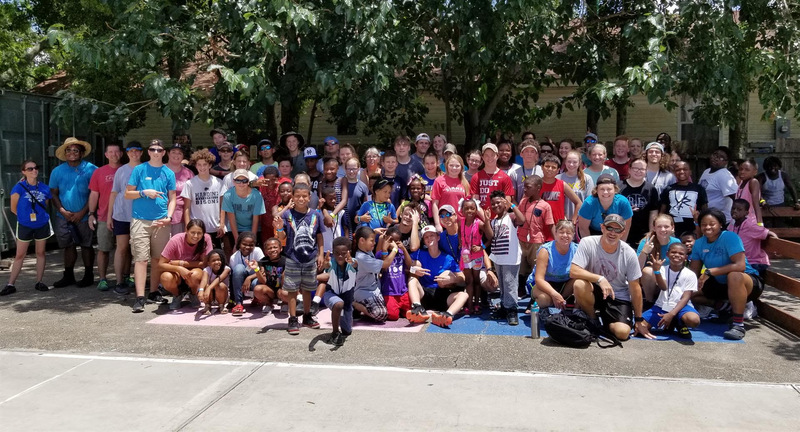 Summer Camp – 9 weeks, 125 kids, 230 people on mission, 10 interns, 10 JSTEPers, and 5 staff had a great summer of faith and fun! Over 100 kids were tutored during 32 weeks of tutoring. 10 faithful volunteers helped complete thousands of hours of homework. 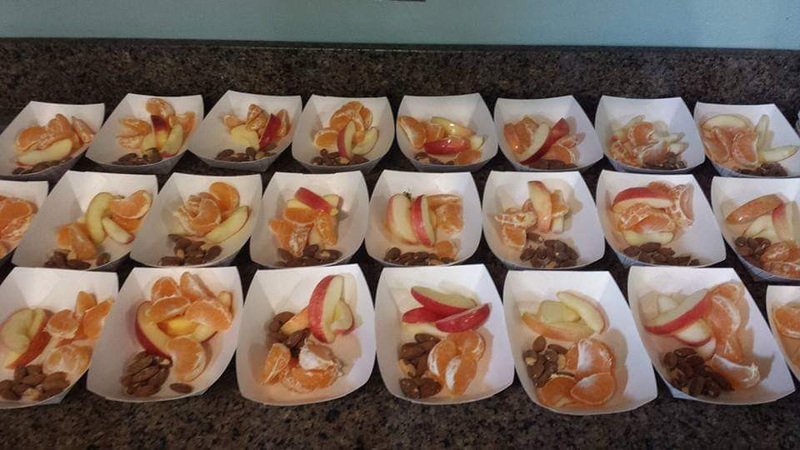 Snacks – because of you we were able to serve 3575 snacks. 2145 during tutoring and 1430 during summer camp! Thousands of PBJ and ham and cheese sandwiches were served as well. 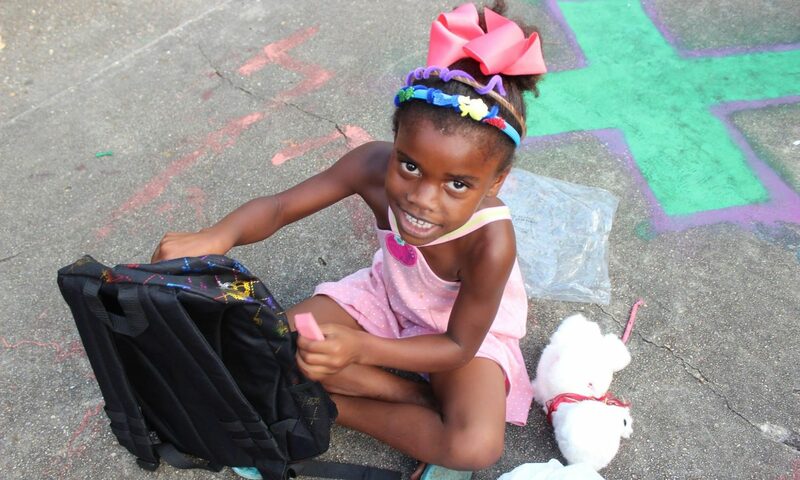 You helped give 350 children the supplies they needed to go back to school! Over 275 children had a great time at the Christmas party. 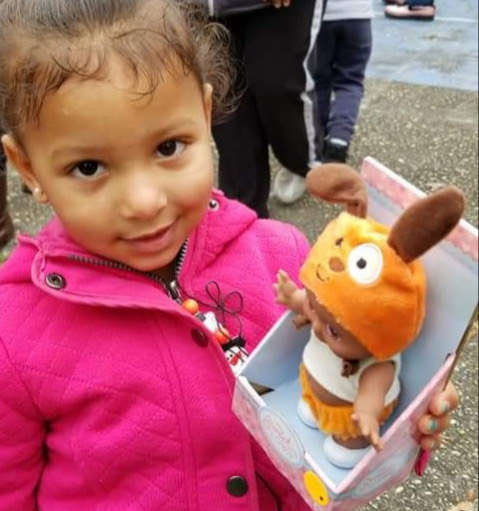 Everyone child received Christmas gifts and enjoyed the party. 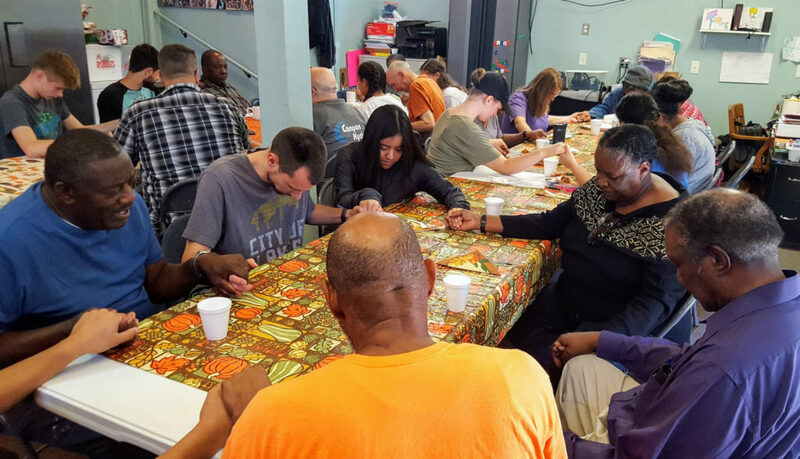 We continue to help strengthened the neighborhood with bi-weekly bible studies and prayer gatherings. 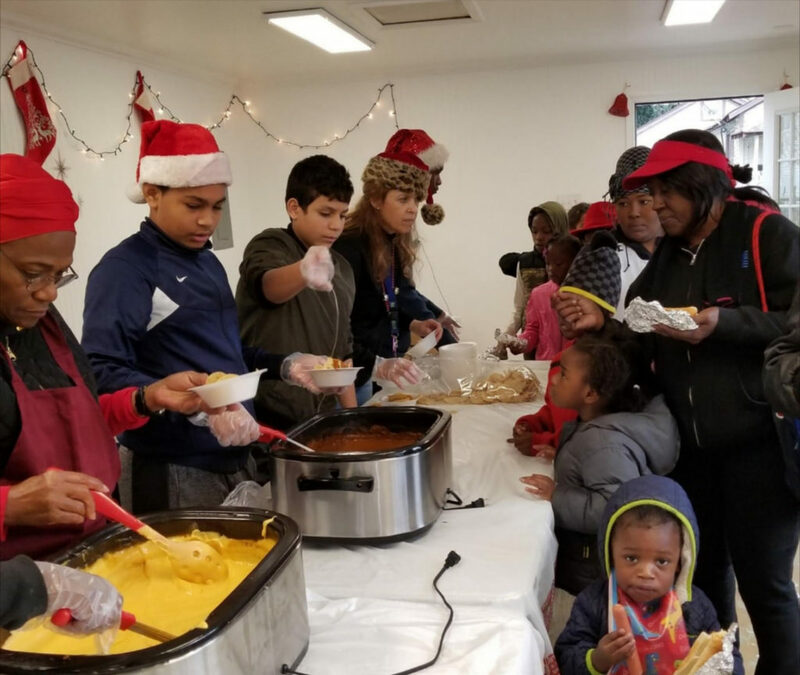 All of the fixins for Thanksgiving and Christmas dinners were given to over 50 families! What a blessing. We were given a new portable building! We will use it for all kinds of events. We still need more room. Please keep praying! 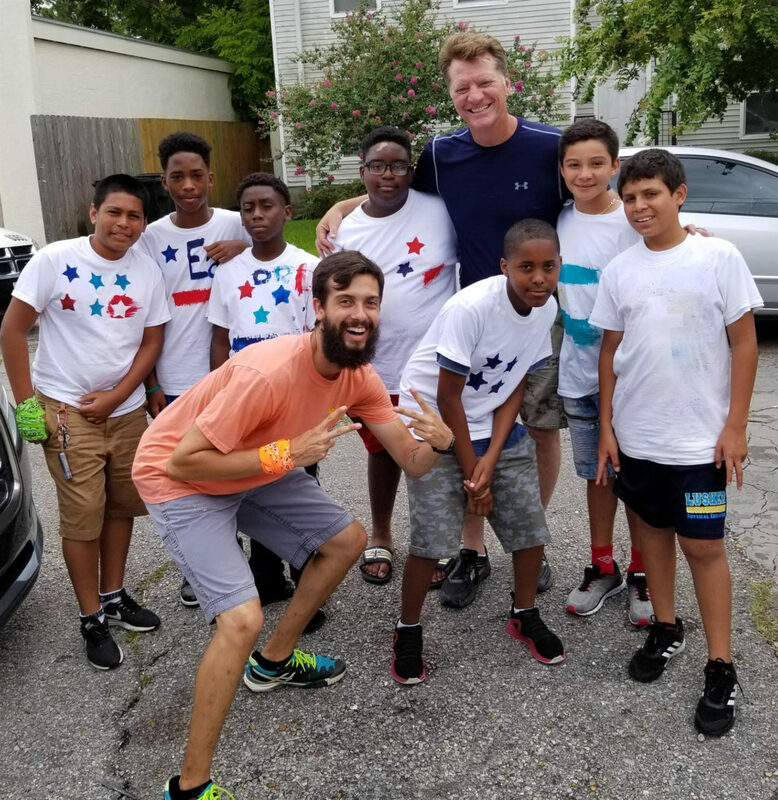 These JSTEP kids had so much fun when we took them away to camp. Most of them had never roasted marshmallows on a campfire. 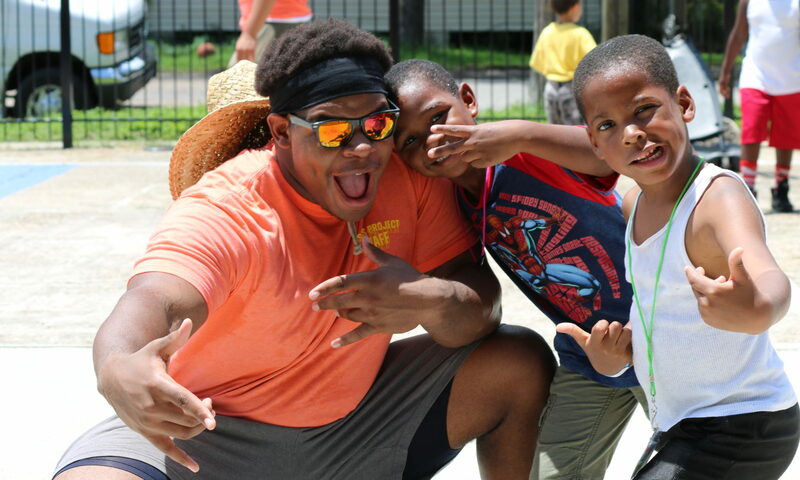 The camp was life changing! The JSTEP program was launched to build leaders. This is a photo of the JSTEP young men, but young ladies are included as well. 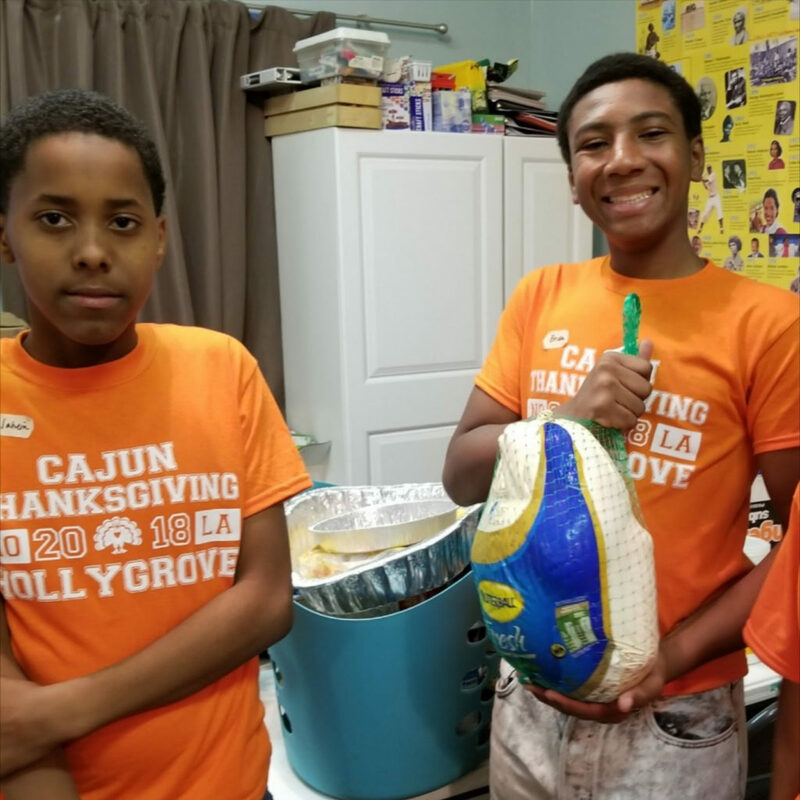 Check Out Pictures from This Years Cajun Thanksgiving! I am sitting here reflecting on the past 13 years and the Cajun Thanksgiving event. 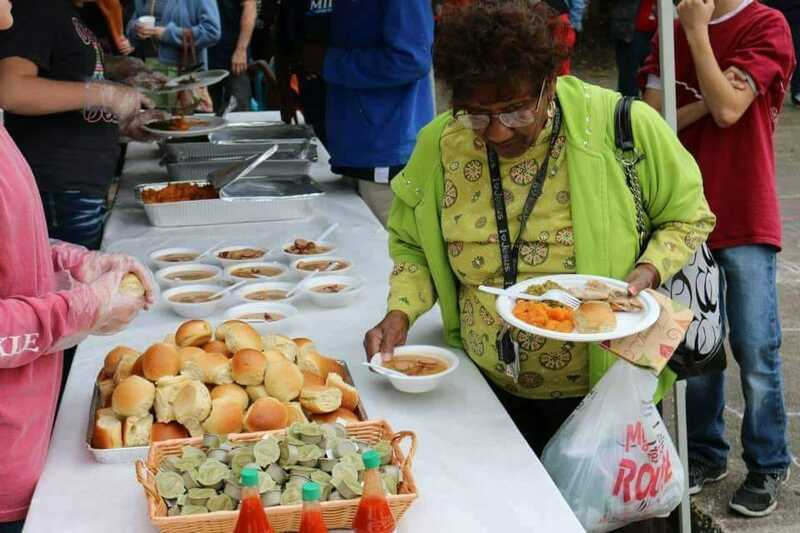 Every year since 2005, we have been joined by a small dedicated group of senior citizens from Hollygrove who help cook an amazing meal to help the community. This year our hearts are in turmoil as we pray for our friend Bob Quiette. Tomorrow will be the first time in 14 years that we will fire up the turkey fryers without Bob overseeing them, or without his wife Charlotte stirring the gumbo pot. Bob was returned to the ICU unit again today. He has been battling illness most of this year. We would sincerely appreciate it if you would take a few moments and pray for Bob and Charlotte. They have been the anchor of this event since its inception, and have worked so hard each year to make this a special day for the community. We spent the day today prepping the turkeys. We certainly missed Bob. He has spearheaded this process each year. The experts always make things look easy. We struggled today without him. Tomorrow we will feed hundreds of our neighbors. At least 25 families will go home with a food box full of the food they need to feed their family a delicious Thanksgiving meal. Every year when I sit down with my family and friends on Thanksgiving, I take comfort knowing the people around me are not going hungry. If you are able to help provide a family with a Thanksgiving food box please click the link below. Forty-five dollars will feed an entire family, but any amount will help. Thanks so much for praying for Bob. We will keep you informed about how he is doing. Cajun Thanksgiving tomorrow 1pm. Our friend Landon Spradlin will be playing live!! Pass on by for some Gumbo & Fried Turkey and ministry! We had a fantastic day! As usual, families lined up long before the gates opened. The clouds started to roll in, but the rain didn’t. The temperature dropped to a lovely 87 degrees, the kids breezed in, and the fun started! Smiling faces were all we could see. The face-painting, balloon animals, hot dogs, nachos and sno-balls made this a celebration for the kids. The sno-ball and the nacho team had their hands full keeping up with the demands. The highlight of the day was watching each one of the students get a bag and start down the supply line. Paper and notebooks first, crayons, markers and colored pencils, scissors and sharpeners… and on down the line they went, laughing and smiling. We loved loved loved seeing these children happy about school. We know It set the tone for their school year. We have a lot of photos from the event on our Facebook profile. If you are not a friend of JesusProjectMin, please send a request so you can see the impact you are making. We want to say thank you again for your kindness and your support! As we drove away from camp last Wednesday, I was reviewing the day with Jennifer, one of our summer interns. I was trying to encourage myself. It had been a very challenging day for me and the “yellow room” leaders. As I drove, she became a captive audience as I explained (mostly to myself) that I couldn’t let this difficult day change my attitude about what God has called Jesus Project to accomplish. To encourage myself, I started to recount a story about a family of four boys who had attended camp for several years. They had recently moved out of the neighborhood and no longer attended. (Three of them are pictured above. Far left: Ivan, Ivory & far right: Kendell). I explained to Jennifer that most days, either Rachel or I would spend part of the afternoon outside talking with one or more of them because of their behavior. We were either trying to calm them down, trying to keep one of them from hitting other campers or working them through their anger. Some days the talks didn’t go well and we would load them into the car and take them home, but other days we would see breakthroughs. While talking with Jennifer, I started remembering their good days, their beautiful smiles, the joy of seeing them having fun, and the excitement when they were retelling the Bible stories. Ivan (pictured on the left in the photo) loved to sing. One day he asked if we could sing “Every Praise.” I hadn’t heard it before, but we quickly found it and we began singing it. Every day he would flash a big toothy grin and sing at the top of his lungs. On days that we skipped singing the song, it would make Ivan very feisty. It quickly became one of our favorites. We even had him lead the song at the Back 2 School Outreach in front of about 300 people. God used those memories to help me last week. He reminded me that what we do isn’t easy, but it is so important. Recalling those boys’ good days in the midst of bad ones helped me catch my breath and get ready for the week ahead. On Friday, I was sitting at breakfast with our team, debriefing and planning, when my phone rang. It was Pastor Josh Holland and the news wasn’t good. He told me 12-year-old Ivan had a severe asthma attack and had passed away. Fist-swinging, song singing, big smile Ivan has finished his race. Again, we found ourselves struggling to breathe. His mom, family, JPM family and friends are finding comfort in Christ. I am so grateful for every day we spent with Ivan…days when he was angry, days when we helped him with his dry, bleeding skin caused by his asthma and medication, days when we tutored him and days when he would lead us and with all his might sing, “Every praise is to our God!” And once again, Ivan helps us catch our breath. Ivan’s memory is now a sobering reminder of how important God’s work is in Hollygrove. The real-life issues Ivan faced are just like those most of our children face daily. They are staggering: poverty, drugs, missing parents. Ivan had all of these struggles and asthma. Each day we have over 50 children, similar to Ivan, in our camp. 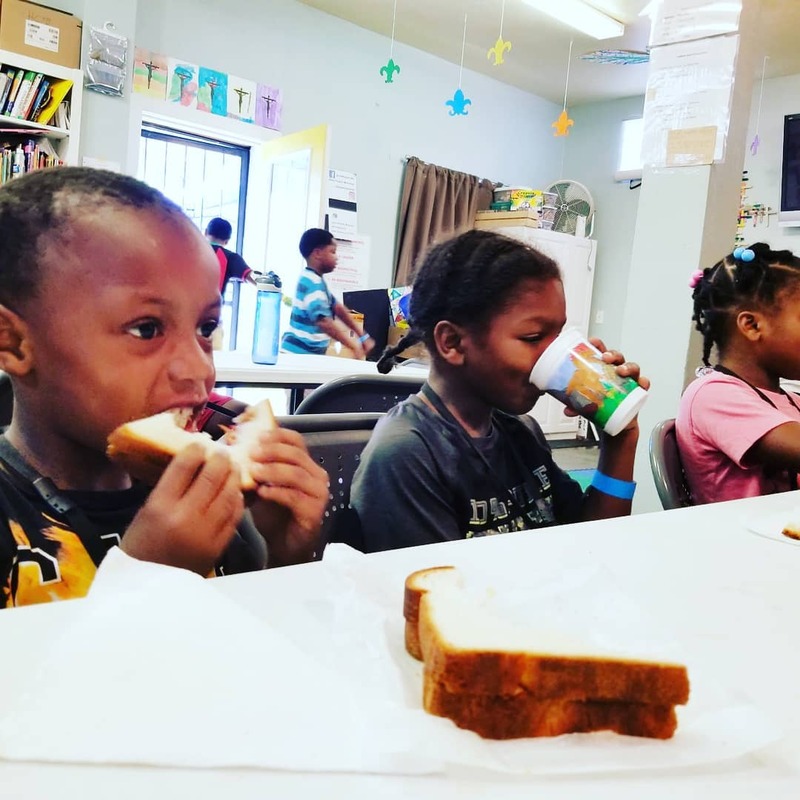 They learn the Bible, eat lunch and snacks, do crafts and sing songs. They need your help. This work costs a great deal. It costs us spiritually, emotionally and it costs money. Could you help carry part of the load? How? Pray for wisdom for us on how to best minister to each child. Pray for the children, for their safety and salvation. Thank you for your love and support of Jesus Project Ministries and the people in the community of Hollygrove. We are so proud of our children! Some are graduating from high school, others from junior high, and the younger ones are passing their standardized tests and being promoted to the next grade levels. 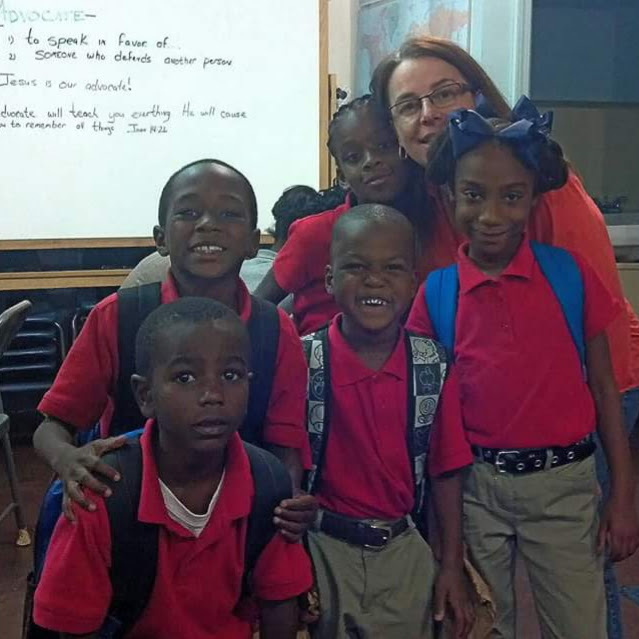 It has been another wonderful school year for our volunteers and our children whom we have the honor of tutoring. Every year in the Apple Street Learning Center we have a wonderful mix of students. The mix includes children who have spent years with us and new students. We are always so blessed as we watch each child grow in their abilities and in their success. Rachel spent a great deal of time this past year working with a girl in 2nd grade named “Quan.” Her home life is less than desirable. She and her brother moved in with their aunt in Hollygrove at the beginning of the school year. I remember the first moment she stepped through the doors. She seemed loud, non-compliant and aggressive, and she was. But God brought her to us, to Rachel specifically. As Rachel started working with her, it was not an immediate success. But overtime, Rachel and “Quan” formed a great working relationship. “Quan’s” behavior and grades started improving. When she started coming to the Center her grades were at best, average. 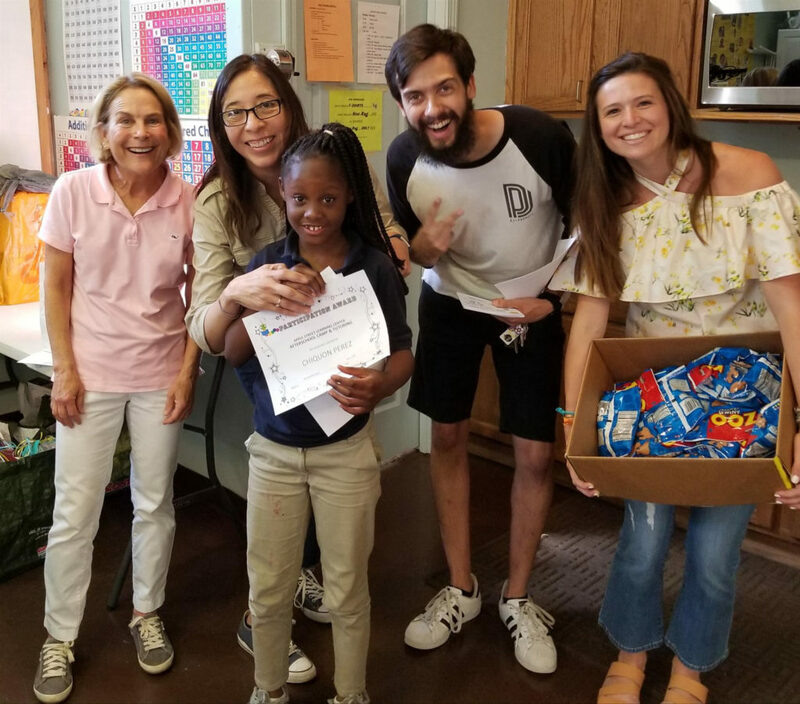 After months of daily tutoring and attention her grades came up to A’s and B’s. She was given an award at a special ceremony because she achieved a Mastery level of understanding in all of her subjects. One day Rachel noticed “Quan” wearing a brand new, bright, hand-made belt with her name on it. When Rachel asked about the belt, “Quan” explained that her mom, who is in prison, had made it for her. This precious girl, who was once a handful, was now a bright eyed, smiley girl full of joy. Almost daily she would bring a hand drawn card to Rachel and many times it would say, “Thanks for not giving up on me.” This is a beautiful reminder of why God started Jesus Project! There are so many in our neighborhood who are just looking for someone to believe in them and not give up on them. 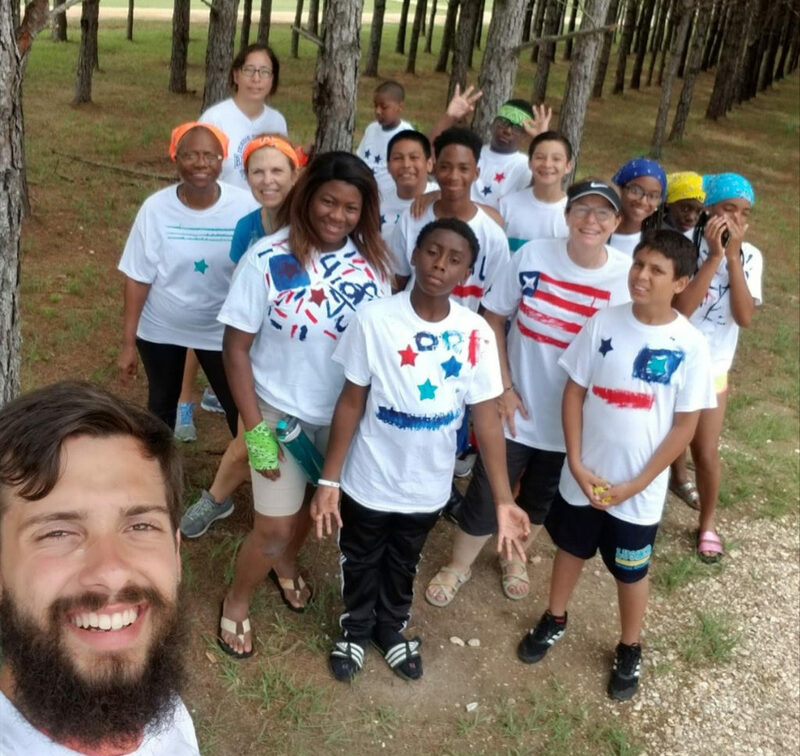 We are get ready for our eleventh year of summer camp, which includes writing the curriculum, organizing the games, recruiting the interns and preparing for mission’s teams. It’s our busiest time of year, but we look forward to seeing all of our kids, including “Quan,” Earl, JJ, Zanaya and the list goes on and on. All children who need to know love, know God and know we believe in them. Like “Quan,” we want to say, “Thanks for not giving up on us.” You are part of this amazing team, and we continue to need and appreciate your support. Praying you have a happy and love filled summer!